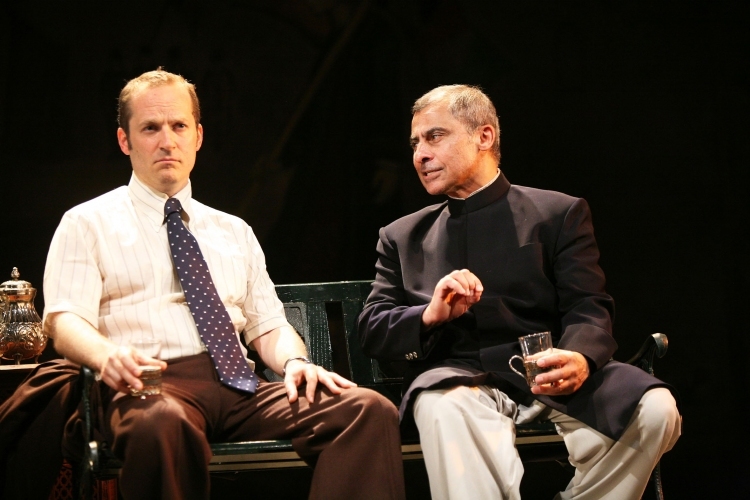 Photo shows Rick Warden and Vincent Ibrahim in my world premiere of Wood for the Fire by award-winning American playwright Lee Blessing, a new play for The Great Game: Afghanistan 2010, about the relationship between Pakistan, Afghanistan and the CIA in the 1980s. In order to de-stabilise the Soviet occupation of Afghanistan, the CIA and ISI (Pakistan’s Intelligence agency) formed an unholy alliance with the Mujahideen. American weaponry was supplied to support the Jihad, and the Russians were eventually forced to withdraw. Wood for the Fire explores one of many facets of this secret war. Wood for the Fire was designed by Pamela Howard, and was in Part II of The Great Game: Afghanistan 2010 trilogy, which played at the Tricycle in London before embarking on a US tour and a command performance for Pentagon staff. The tangled links between allied powers, Pakistan, Afghanistan, and of course their relationships with India remain key to our understanding of the region today.